Hockey Canada is not too much different from USA HOckey. Both groups are the national rule making bodies for their respective countries. The International Ice Hockey Federation and Olympic Committees recognize both as leaders in how the game is developed. 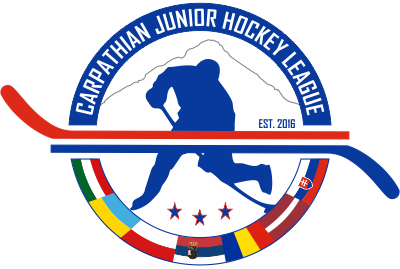 In junior hockey though there have been some very large differences in how leagues and countries view the development of players, and how to go about building programs. Leagues have largely been left to themselves to determine their internal rules within their governing bodies guidelines. The British Columbia Hockey League has become a leader in producing talent that is bound for NCAA programs in the United States. They have quietly overtaken nearly every other Tier II league in Canada in that regard. Proposed rule changes though may have an immediate impact on that leadership status. The BCHL’s major recruiting advantage over other leagues is that an American-born player is considered an import in his first season only, then his status changes to non-import. However, the Canadian Junior Hockey League and a CDM (Canadian development model) committee have passed a motion proposing that an American player be considered an import for his entire junior career. Hockey Canada will make a ruling as early as Nov. 16 at its semi-annual meeting. The CJHL has also proposed its own motion to lower import players to seven next year and six in 2014. In theory without the rule being changed any BCHL team could have a nearly all American born team in three years if they wanted to. Closing the "loophole" is something teams outside of the BCHL want to see. The question some are asking now is that if this rule is changed, will it effect the import status of players that reside out of the BC Province? The answer to that question would appear to be "no". If the answer is indeed "no", many in other provinces fear that recruiting of their local players to the BCHL will increase. Looking at last years Penticton Vees, they carried a full compliment of 8 American born players on their way to a championship. This season the Vees appear to have changed their strategy in anticipation of the import player rule change. Having limited their American players to three while boosting the amount of players recruited from the Province of Ontario. Most are saying the rules changes will pass in some form or another. Many are in support of the reduction of import players within the BCHL and most other Canadian leagues. There is a sense of National Pride among many supporters of this change. USA Hockey has limited the amount of import players on every team since its inception. Some have complained that opening up and allowing more imports to compete in USA Hockey programs would be a good thing. Some have said that using the current system that is in Canada should be a model for the US. Well, it looks like Hockey Canada is now saying that the USA Hockey way of managing imports may be the wiser way. Europe has limited import players for decades. They want to develop their own players and provide those players with more opportunity. Nothing wrong with that at all. Why should any country want to be any different? It would help if the IIHF stepped in and place recommended standards for every country concerning imports. Not a hard and fast rule, but a guide and recommendation that everyone can fall into within their comfort zones. Assuming the passage of this rule effects next seasons recruiting, teams and leagues will need to prepare to scout more heavily within their own provinces. American players will need to know that the rules have changed and that those changes will limit those opportunities in Canada. Who benefits most from these changes? USA Hockey programs. 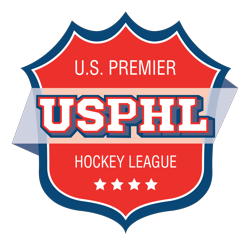 Keeping high end players in the US will only make USAH programs stronger. If I am USAH, I am sending Hockey Canada a big thank you for making the change.